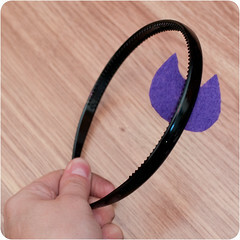 You will need: Felt (two colours), paper, thread, a hair band and some glue. 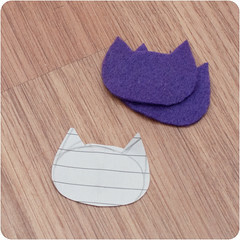 Create a cat head template with paper and then use it to cut out two pieces of felt. 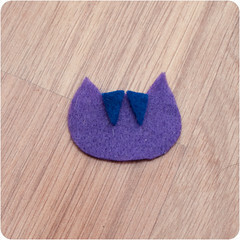 Cut two triangles out of the other colour felt for the tabby markings. 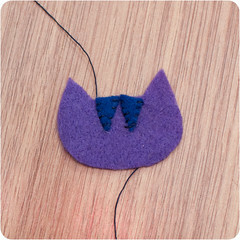 Stitch the triangles on to one of the cat head shapes and then add a nose and mouth. 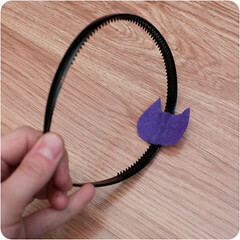 Take the other cat head shape and glue it onto the underside of the hair band. 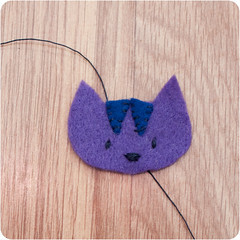 I used a hot glue gun but I’m sure other glues would work. 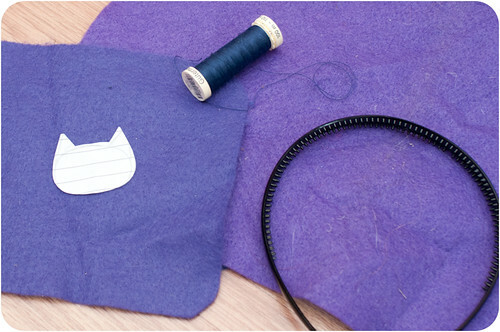 Using blanket stitch, sew the piece with the face on, onto the felt with the hairband in between. If you try this, I’d love to see your results. And I love your hair too! 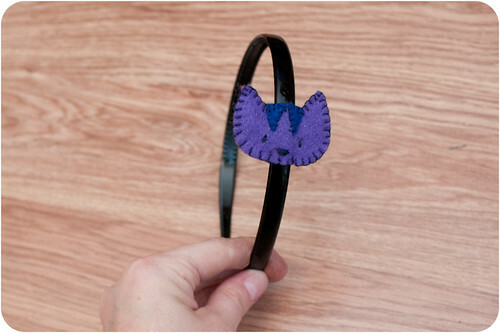 These cat craft projects are great! 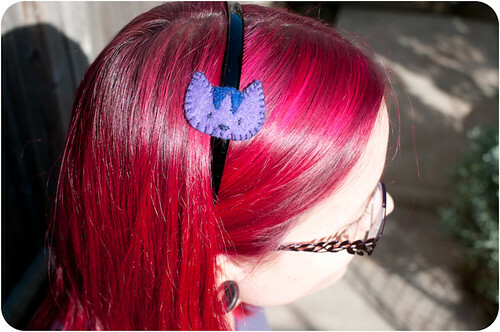 We’d love to see these on Hobzy!